Tec-Tical Pro is the premium race hemelt for ABUS. The application of the latest technology and top-quality material characterise this slick protection. It is perfect for competitions due to its low weight. 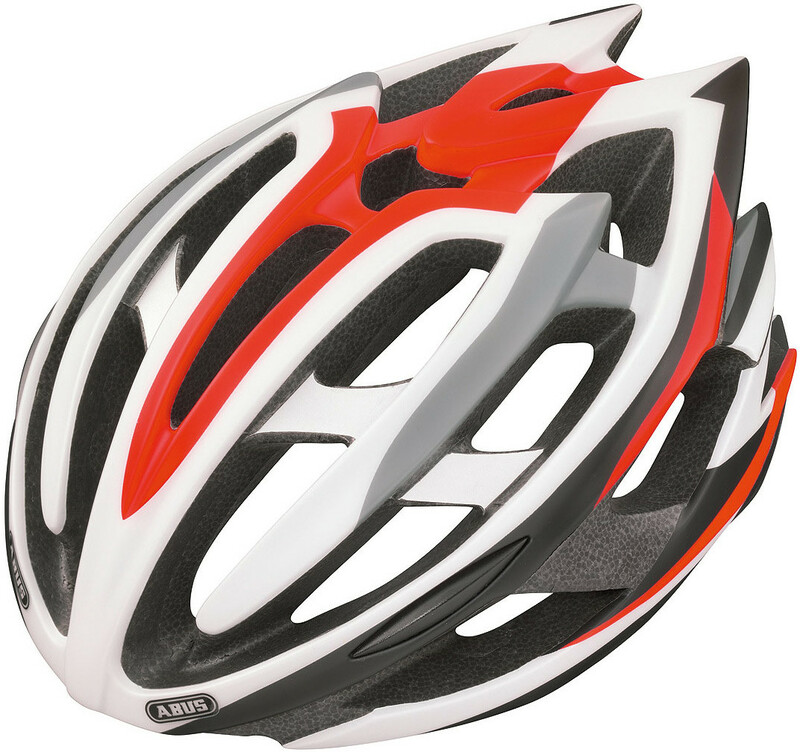 With a weight of only 245 grams (size M), the Tec-Tical Pro belongs to the lightweights of race helmets. This is made possible by the use of multi-density helmet material (EPS), guaranteeing a higher shock resistance for a lighter weight. For a professional rider, comfort is the most important characteristic of a helmet. This is why a special focus was laid on to provide good ventilation and fit during the designing of the product. It is obtained by 14 air inlets and 9 outlets. The ZoomSL adjustment system assures a perfect fitting. It is extremely light and precisely adjustable using only one hand. The size setting results from a half ring system. Further adjustments can be made thanks to the soft straps with precisely adjustable sliders. Important for athletes: the padding is removable and washable. The high safety level of the Tec-Tical Pro can be traced back to the Multi-shell In-mold production process. This procedure stands for long-lasting connection between the outer shell and the shack-absorbing material (EPS). The integrated strengthening cage offers additional safety.